Unity initiatives of various kinds among armed groups are foremost associated with the rebels in Syria. Despite some attempts to argue to the contrary, the popular conception of the wider insurgency and opposition as heavily divided is largely correct. Time and time again we have seen talk of uniting the various rebel factions only to see it amount to little if anything: the most recent case being the merger schemes discussed in the wake of the regime’s recapture of all of Aleppo city last month. Indeed, Sheikh Abdullah al-Muheisseni, the Saudi jihadi cleric based in Syria, recently admitted this problem of failure to achieve unity in the latest rounds of merger talks among rebel factions. Muheisseni had been working on a merger initiative principally involving Jabhat Fatah al-Sham, Ahrar al-Sham and Harakat Nour al-Din al-Zinki. Meanwhile, discussions and a document concerning a third-way option that entailed the revival of a structure akin to the failed Revolutionary Command Council of 2014-2015 were leaked in the media. The signatories to the document outlining the formation of a “Syria Liberation Command Council” included major factions like Ahrar al-Sham and Jaysh al-Islam, with one important aim being to form a joint political committee and thus produce joint political stances that bear significance. Peace talks scheduled to take place in Astana (the capital of Kazakhstan) were an important context for such an idea, though that concept already seems to be in doubt with Ahrar al-Sham opting not to participate in the Astana talks for a number of reasons, whereas Jaysh al-Islam is set to participate. Besides, broader controversy plagues the proposed Syria Liberation Command Council as a betrayal of meaningful mergers and unity as well as selling-out to the whims of foreign backers, namely Turkey and Qatar. However, it is important to note that unity initiatives and problems of divisions are not confined to the insurgency: they can also be found among militias on the regime side in Syria, even as it would be an exaggeration to portray them as wholly equivalent to the disunity and divisions in the insurgency and opposition. A case-in-point is the primarily Druze province of Suwayda’. The region is also known as Jabal al-Arab/Jabal al-Druze (Mountain of the Arabs/Mountain of the Druze), and a large number of militia factions have emerged. Broadly speaking, they can be divided into two categories of orientation. On the one hand, there are factions that are clearly regime loyalist, showing affinities with Assad and the wider war effort. On the other hand, there are also more ‘third-way’ militias whose goal is not to overthrow the regime structure in Suwayda’ but rather to reform it (e.g. reducing corruption), while focusing more on local defence of the province from external attack (whether by the rebels or the Islamic State) and pushing against conscription efforts into the Syrian army. While larger militia players and brand names can be identified in the province, such as the loyalist Kata’ib Humat al-Diyar of Nazih Jerbo’ and the ‘third-way’ Rijal al-Karama movement, there is overall a high degree of localisation in how the militias have organised by town and village, even when they have an affiliation to a broader brand. For an example of localisation, see the case of Katibat Jalamid Urman that I profiled earlier this month: a local loyalist militia based in the Suwayda’ village of Urman. This trend not only has the potential to impede coordination in times of military crisis, but also gives rise to incidents of kidnapping and settling of personal and local disputes by militia force, undermining the rule of law. Compare this observation with a document recently issued by a new group calling itself Ama’im al-Jabal, claiming to be composed of religious Druze in Suwayda’. The document alludes to some of the aforementioned problems in its introduction. “Amid the ongoing danger of the terrorist gangs and the threat of the takfiri groups, which do not know religion, homeland and mercy and have not shown respect for human and ethical values for a day, groups from the popular factions in Suwayda’ province have decided to form a military unit in a united organisational body in the name of Liwa al-Jabal. For so long as self-defence has been a legitimate right established by God, who put in place its rulings and made Paradise the dwellings of loftiness for whosoever fulfils the trust in defending that right, and so long as Suwayda’ province has been an example of national unity and a true embodiment of good conduct and action in defending land and honour, and [so long as] its sons will remain the good example in values, ethics, religious consciousness and both patriotic and nationalist sentiment: so will its sons remain on the path of their just predecessors. Turning to the organisation and structure of Liwa al-Jabal, Ziyad explained that the leadership of the formation is composed of a military council of five people dividing assignments among themselves, though he did not give any names for these people. He added that Liwa al-Jabal is not affiliated with any security apparatus (e.g. military intelligence or air intelligence) but at the same time is not independent “in the literal meaning.” Rather, as he put it, “There is foundational government support with the guarantee of the brigade’s independence.” Such a description should not come as a surprise: many regime loyalist militias in Syria might have no formal affiliation to a larger particular entity like one of the intelligence apparatuses or Rami Makhlouf’s al-Bustan Association, but still get support from the regime in some way, such as weapons provision. 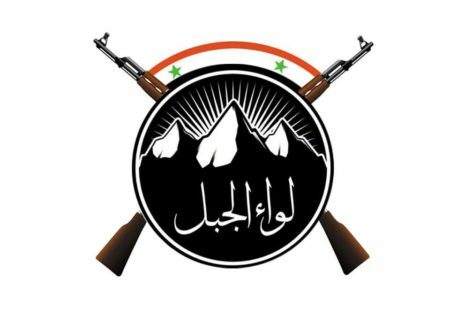 In short, it is important to appreciate that Liwa al-Jabal is not so much a new militia as yet another attempt to try to bring together local loyalist factions in Suwayda’ under one structure and banner. Nonetheless, if the past record is anything to go by, the prospects of meaningful success for this project are rather dim. If Dir’ al-Watan, which had backing from the mashayakh al-‘aql, could not achieve unity among factions, what gives Liwa al-Jabal- something very low-key by comparison- better chances of success? Localisation and factionalism will probably continue to play an important/dominant role in militia organisation on the ground in Suwayda’ province, just as it has shown itself to be a wider trend across Syria during the civil war, only overcome in considerable part by exceptional actors that take authoritarian/dictatorial approaches towards real and potential rivals and implement more comprehensive administration systems (e.g. the Kurdish PYD and the Islamic State). Such an overview fits in with Syria’s modern history as a highly unstable state in which the Assad regime eventually came to dominate for four decades prior to the Arab Spring, putting in place a dictatorial system that knew how to exploit localism and other divisions to ensure the regime’s grip on power. What happened in Erdogan’s model refugee camps?